Grab my 53 business planning tips for a better 2017! (at the bottom of this blog). During December, I’m writing about business planning, to inspire you to get your business plan done for next year. Managers, see Management in a Minute for managers’ business planning tips. Note: Under 2 years in the business? 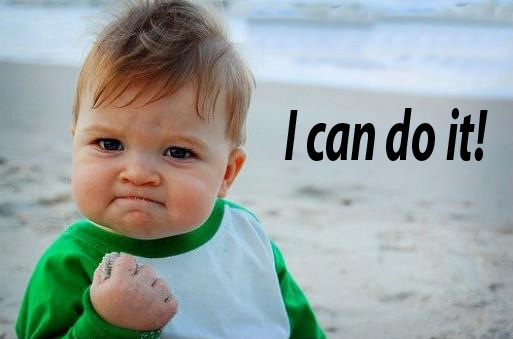 You need a solid business start-up plan. Check out my online program Up and Running in Real Estate. Have you ever seen anyone follow a process–and then fail? Of course. Whether we have a bad road map, a poor teacher, or a lacking coach–it all leads to less than exceptional performance. I know this intimately, as a musician. I’ve worked with musicians who learned a piece of music wrong. Then, they just keep playing it wrong! They can’t seem to break those bad habits–even when they know they are playing it wrong. We blithely follow just about anyone’s directions, because we assume they must be good if they’re published (ha!). Or, we follow them because we like them. However, sometimes the plans we are drawn to are really, really bad! We like them because they ask little of us. Be very critical of the directions, plans, processes, and systems you get from someone. If they are poor, they will lead you in poor directions. 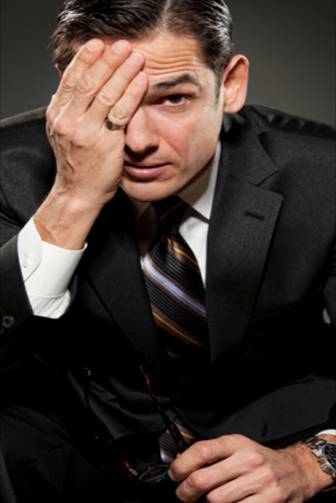 So many times, agents come into the real estate business and make up their own ‘version’ of the business. After all, they come into the business to be ‘independent’. If they only knew what they were doing to themselves…..You see them sit around and wait for something to happen. You see them criticize the ‘leads’ they are given. Left to their own devices, they create a plan for failure. The worst thing is that they don’t even realize they are doing it! They think that any plan of action will work to get them to their goals. Be sure you are using proven plans–whether you are a new agent or a seasoned one. As a seasoned agent, too, you need some latitude in the planning process. Yet, you’ll want to use a process that leads you in the right direction. Click here for those 53 business planning tips from the Coach. 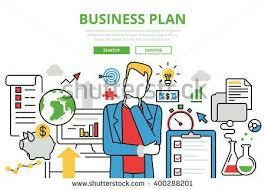 Watch to see that your business plan has these attributes, and it will be a successful one. Need a better business planning system? Check out my comprehensive online program, Beyond the Basics of Business Planning. Click here to see the webinar and grab the handouts. Business planning: Here are tips on spending your marketing dollars wisely. Today, real estate agents capture much more of the gross commission dollar than ever before. At the same time, they must become real business people, because they must allocate some of these dollars to marketing—to increase their business. But, how do you know how to spend those marketing dollars? Principle One. Spend a proportional amount on your best source (s) of business—it will beget more business (your best source of business is from your past clients and people who know and trust you). Do you know how much you spent on your best source of business last year? Only about one percent of the agents do. That means they aren’t treating that group of people as a ‘target market’. You must segregate your best source and allocate funds directly to marketing to them. You must make a marketing plan directly to these people, and attach a budget to this best source. How much Money Should You Spend? Principle Two. Spend between 5 and 10% of your projected income on marketing to your best source of business. Example: If you were to project for next year that you will get 20 sales from your past clients, and that income would be $4000 per ‘revenue unit’ or $80,000, you would allocate $4000 to $8000 to marketing to that source. Are you a newer agent: You need a solid business planning template–a start-up plan. See it at Up and Running in Real Estate. 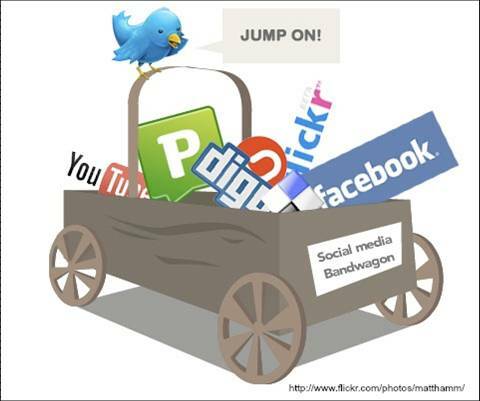 Business planning: Where and how should you include social media? 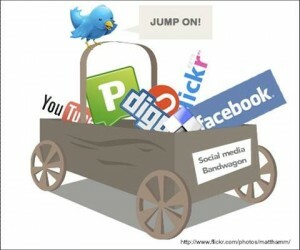 How have you integrated social media into your business plan? Where does it go? In your marketing part of your plan. That’s logical. But, what do you want social media to do for you? Sell houses? Get calls to you? Increase your image? Before we can answer that, we have to define types of marketing and how to measure its success. 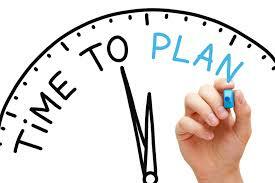 In my comprehensive online business planning system, I show you how to create a marketing plan. Put your social media into that plan, be clear about your objectives, and set up consistent and frequent efforts to your best target markets. Now, you’re using social media as part of your overall marketing strategy. 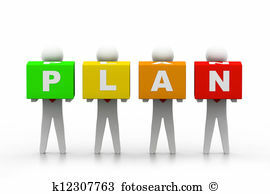 Business Planning: Do You Have a Lead Generation Plan Included? During December, I’m focusing on business planning in both of my blogs. 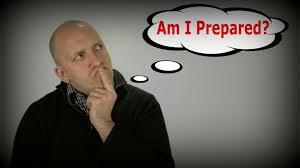 Look for ready to use checklists, processes, and systems. Let’s all get great plans for 2017! (Also, see Management in a Minute, for business planning tips for leadership). What’s your lead generating plan for 2017? We all love it when some seminar guru tells us we just have to take care of our present and past clients and we’ll get rich. The first part of that statement is true. We DO have to take care of our present and past clients, and that’s an important part of re-creating our business. And, the sad truth is, many real estate agents do a very poor job of that. So, we do start there. But, what if you don’t have enough ‘potentials’ from those sources? You must look further. Less than 2 years in the business: you need a firm ‘template’ for your start-up plan. See my complete online program, Up and Running in Real Estate. Do it the easy way. Get all the templates, guides, and advice you need to create a great plan for 2017. Need a better business planning system? Check out Beyond the Basics of Business Planning. Business Planning: Why Aren’t You Looking Back First? We all know we’re supposed to write a business plan. 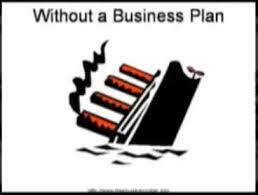 Yet, most business planning ‘templates’ leave out several important parts of a plan. In this blog, we’ll look at why ‘looking back’ is very important to the success of your 2016 plan. 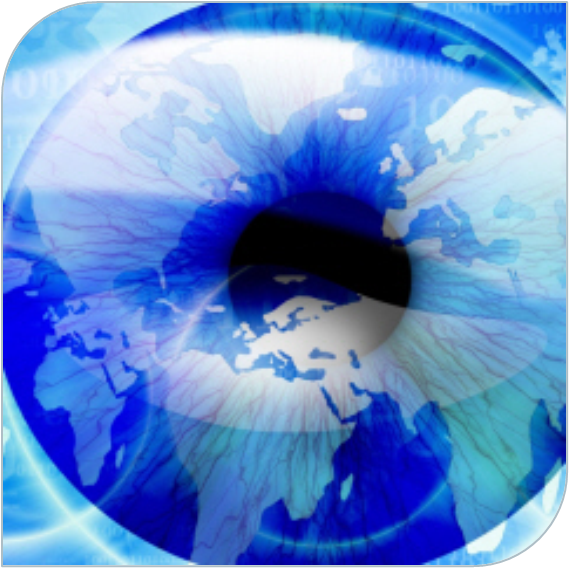 Looking back is called the ‘business review’ or ‘business analysis’. 3. The expense and budget review. How many agents have a budget? How many managers and owners? All business people set budgets and review them. After all, it’s about profitability in a business, not productivity! At best, you want to use tools that are similar to the ones used by others at the same business level as you, so you can analyze like problems and solutions. Big question: Does your business planning system or template provide you all the analysis tools you need? If not, what’s missing? You can find all these analysis tools and more at my convenient online business planning system, Beyond the Basics of Business Planning. Hey…Just Buy One of Those ‘Finished’ Business Plans–Not! You want to make it easy, don’t you? Why not just buy one of those ‘finished business plans? Missed my complimentary business planning webinar? Watch it here, and get all the handouts AND slides. And, don’t forget to check out my comprehensive business planning program, all online: Beyond the Basics of Business Planning. It’s much more than just a business planning process. I’ll train you to make great plans! Did you ignore your business plan this year? Here’s how NOT to ignore the next business plan–and get inspired. Here’s the missing ingredient that, without it, your business plan is useless! For November and December, I’m featuring business planning. I want to help you get a great plan for 2017! You’ll see complimentary handouts and lots of business planning tips. See my complimentary business planning webinar, too, coming up November 8. Click here for more information on the webinar and to register. 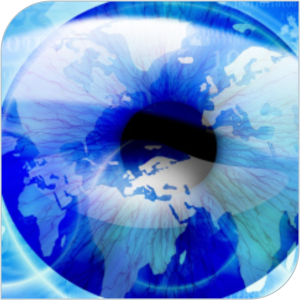 Is your business plan missing vision? Below is an explanation of why having a vision is so important to the success of your business plan. In fact, I believe the lack of vision in a plan leads to a demotivating and certainly uninspiring plan. 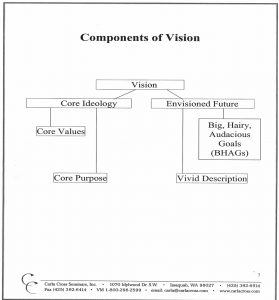 As you can see from the chart on the right, excerpted from Beyond the Basics of Business Planning, your core ideology is made up of your core values and core purpose. If you look at your life, you’ll see that the things that inspire and motivate you are the things that adhere to your belief system. That’s what this part of the vision statement says about you. By the way, if you watch the webinar, I’ll be giving an ‘assignment’: To create one BHAG for your business plan–to get inspired! 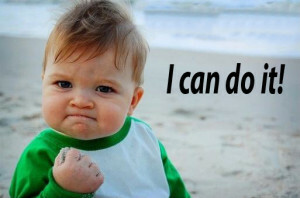 In my business planning system, I also provide another method to check your motivation. If you’re like most real estate professionals, you create some type of a business plan this year. But, maybe it didn’t work for you. Or, maybe—you just didn’t work it! Join us Nov. 8 at 3 PM Pacific time) to get the answers you need—and the inspiration—to make a bullet-proof plan for next year. Carla Cross, CRB, MA, is the only real estate professional ever to have had her business planning system published internationally and used by thousands of successful real estate professionals. 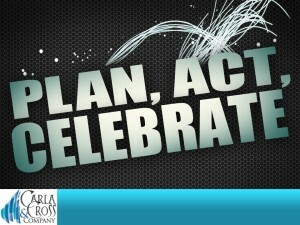 Carla also has written a business planning program for CRB, leading to the Certified Real Estate Broker designation. She’s an acknowledged expert, and has been working with Realtors for over 2 decades, test marketing her planning system and seeing results. Let’s work together to create an unassailable plan for 2017. 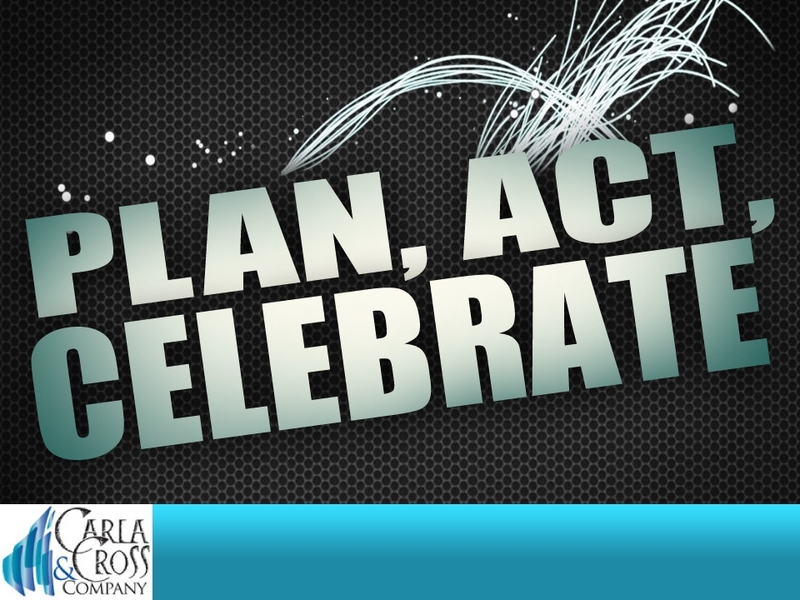 Managers: You’ll get tips on how to help your agents create great plans!